Cabin getaways are those times where you can spend all day asking yourself truly important questions like, “how many fish will I catch today?” or “doesn’t this flower smell good?” But unfortunately, more stressful questions can seep into our minds like “why does my water smell funny?” or “is my cabin’s drinking water OK to drink?” You can think about these types of questions at your home – not at your hideaway. In Minnesota, where I live, there are 122,000 cabins. And 21% are owned by non-residents. If you don’t personally own a cabin, chances are you know someone who does. Maybe they even let you use it occasionally. Most drinking water in cabins is pulled from wells – groundwater wells, specifically. Some cabins use surface water from nearby lakes or other bodies of water. Drinking water from groundwater wells will almost always contain higher minerals or sediments that can impact the flavor or odor of the water. Drinking water pulled from surface water may need extra treatment to ensure it is safe for consumption. Not all cabin or well water is dangerous or unhealthy. Much of the time, it’s good drinking water, just chock full of minerals or turbidity (fancy word for mineral sediment.) Some cabin wells, however, may be high in certain types of bacteria – including iron bacteria – which seems like iron but really a bacteria that grows. In order to determine exactly what contaminants your cabin’s drinking water contains, you need to test it. Many counties, including Washington County in Minnesota, will test for specific contaminants with a fee attached to each. 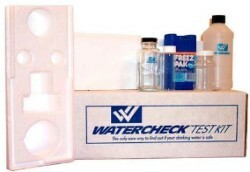 My company also offers a full water test kit – with lab analysis included – for less than $200. It’s recommended that you test your cabin’s drinking water yearly. And this advice isn’t just for cabin-dwellers – but anyone that pulls their water from a well. Once you have determined what you need to remove from your water, make sure to find a water filter or filtration system that will remove the contaminants you need to get rid of and suit the rest of your needs. Simple contaminants like sediment and rust can be taken out of your drinking water with a sediment filter and a carbon filter. 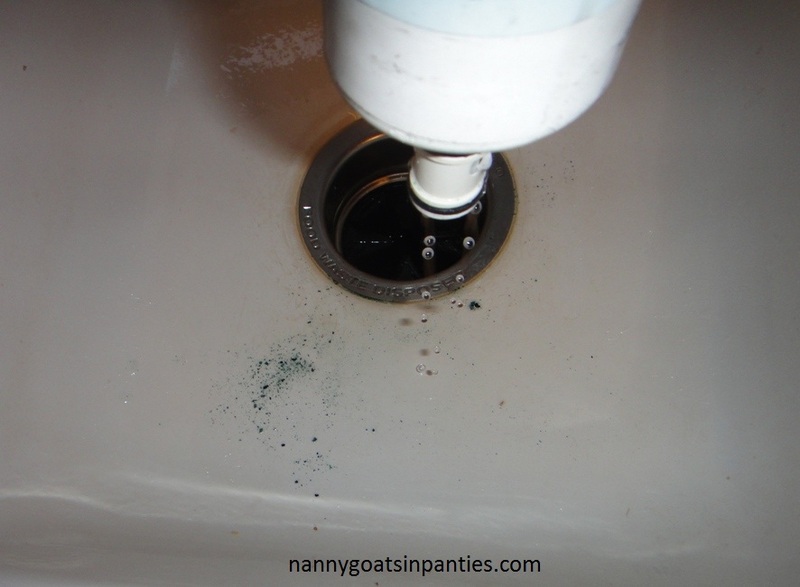 You can install a whole house filter at the point-of-entry in your cabin, or just a small under sink water filter. If your water contains metals such as iron, manganese, or lead, you’ll need more specialized equipment. A reverse osmosis water filtration system can reduce all of these contaminants to make your water safe. 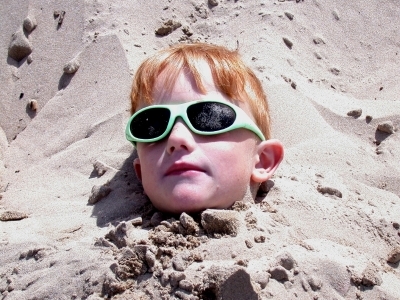 Harmful bacteria should be removed with a UV water filter system or VOC (Volatile organic compound) filters. Even with the right filter system, cabin or well water will need to be sanitized at least twice a year. 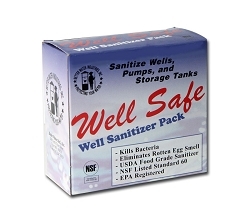 I would recommend the Well Safe Well Water Sanitizer Pack, pictured to the left. 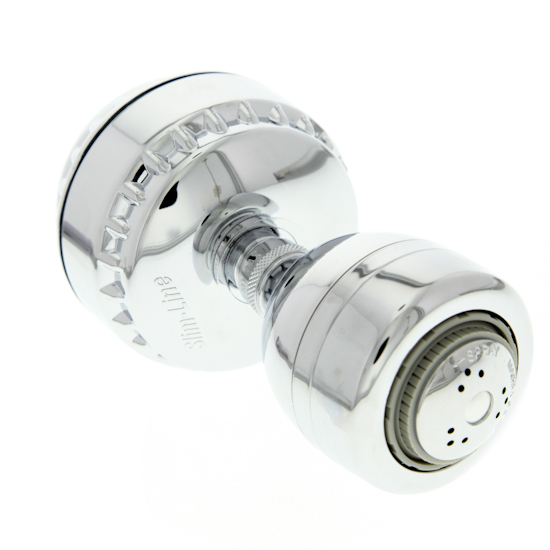 Do you need to filter all the water in your cabin or just your drinking water? 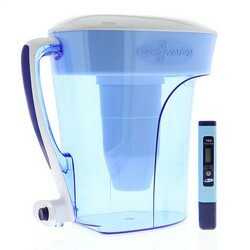 If your water test kit comes back and your issues are only around some off smells and flavors – and these aren’t a huge concern for you – you can probably get by with a good faucet filter or water filter pitcher, like the Zero Water pitcher below. If you need that extra level of filtration everywhere, whether for safety or for smells, specific systems like a shower filter or washing machine filter may be a good idea. With drinking water pulled from a well, there are truly any number of contaminants to be on the lookout for – some dangerous some just annoying. But none that you want to deal with when you are up at the cabin enjoying your time. I linked to a lot of suggested products above – but if you are still unsure about what you need – I would encourage you to give our customer service team a call at 1-888-801-7873 so they can help find the right system for your needs. I invite you to subscribe to this blog or our YouTube channel, like us on Facebook or follow us on Twitter to stay up to date on all the latest water news and hydration tips. I also invite you to +1 us on Google+ to be the first to learn about exclusive deals and new products. Tyler Ringeisen is a Merchandising Support Analyst and occasional outside contributor to the WaterFilters.NET blog. Tyler received his Certified Water Specialist designation from the Water Quality Association in 2013. Better Know A Drinking Water Impurity: What Is Chloramine?